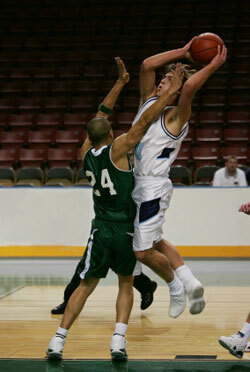 Many athletes and sports enthusiasts experience injuries. Injuries can occur due to body contact, poor co-ordination, trauma, lack of balance, repetitive movement, jolting or excessive force, but regardless, any kind of sport damage encounters pain to the injured part of the body, usually followed by inflammation and swelling. Blood clots can also form as a response to tissue damage and when bleeding occurs, coagulation of blood takes place to block leakage, encouraging repair to damaged blood vessels. Prolonged inflammation of an injured area can lead to a chronic condition and destruction of surrounding normal cells and tissues, further delaying the healing process, which can lead to a temporary loss of function. Golfer's elbow is an inflammatory condition of the elbow caused by the same tendon being stressed during a game. It can become very painful over time and unfortunately can interfere with a player's handicap, which is particularly frustrating for professional players as well as enthusiastic amateurs. Usually, many players suffering golfer's elbow will try conservative treatment before resorting to anesthetics and steroids and in many cases will continue to feel pain due to the same tendon being continuously stressed during a golf swing. Mr. Mehdi Jaffari uses natural leech therapy to successfully treat Golfer's Elbow and depending on the severity, the problem can be resolved in two to four treatments. Leech Therapy is a safe and natural solution to Golfer's Elbow, without the need for continued visits to an occupational therapist or the use of anti-inflammatory drugs or steroids and most importantly, the requirement of resting the elbow for long periods, resulting in taking time away from the passion of the players. Direct injuries caused by an external blow or force is very common in Rugby. Examples of collisions with other players during a tackle can cause haematomas [corks] and bruising, damage to joints and ligaments as well as dislocations and bone fractures. During practice and tournaments, excessive and repetitive force can often be placed on the bones and other connective tissues of the body, causing overuse injury. In the early stages of these injuries, little or no pain might be experienced until the damage accumulates, causing the injured site to become inflamed and painful. Mehdi Jaffari uses his vast experience to treat sports injuries with Leech Therapy. Duration of leech therapy is dependent upon the severity of the sport injury. Likewise, the frequency of the sessions and the number of leeches used in the treatment also vary per individual.